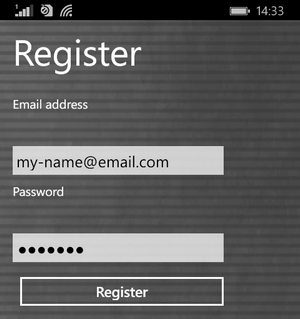 How to register my Windows Phone App with my transaction number? Please note, that you need to have an internet access in order to register with your App! If you have purchased the standard version of SiDiary you can register SiDiary 6 in all program versions (PC, Pocket PC, Windows Smartphone, Android and Java-based cell phone) to use SiDiary without adware restrictions and commercial popups. A guide on how to register your SiDiary online can be found if you click here. That's all. Your App is now registered!